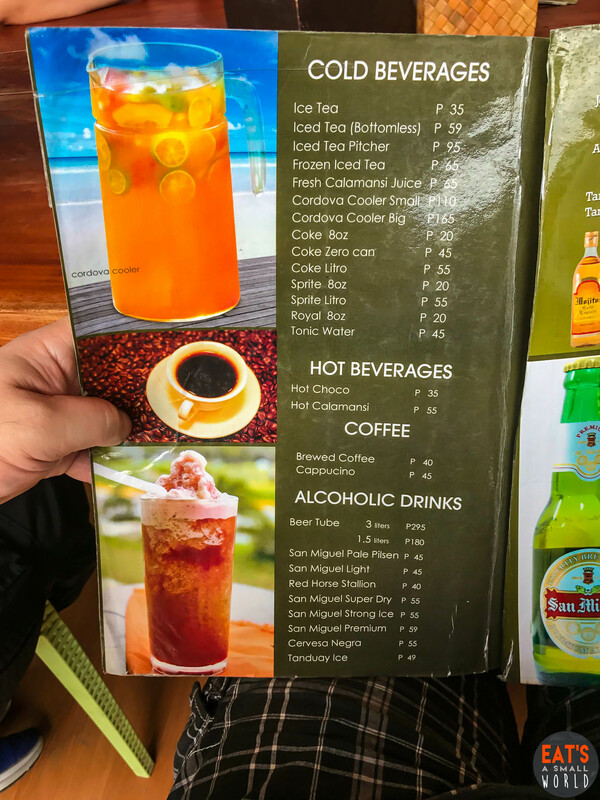 It was our first time to visit Dumaguete City, the so-called “University Town” of the Philippines. 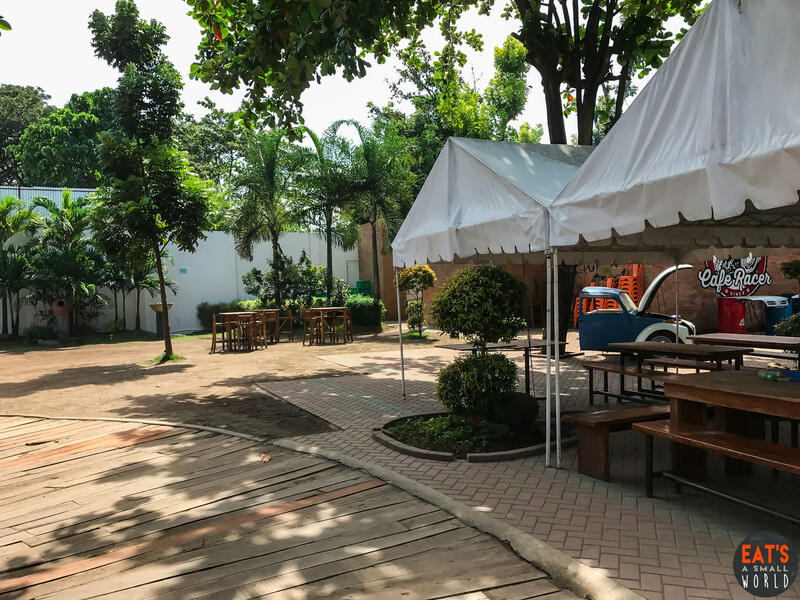 It is called such mainly because of the very good schools that was established there, first and foremost is the great Silliman University which opened in 1901 making it the first American university in the Philippines and in the entire Asian continent. 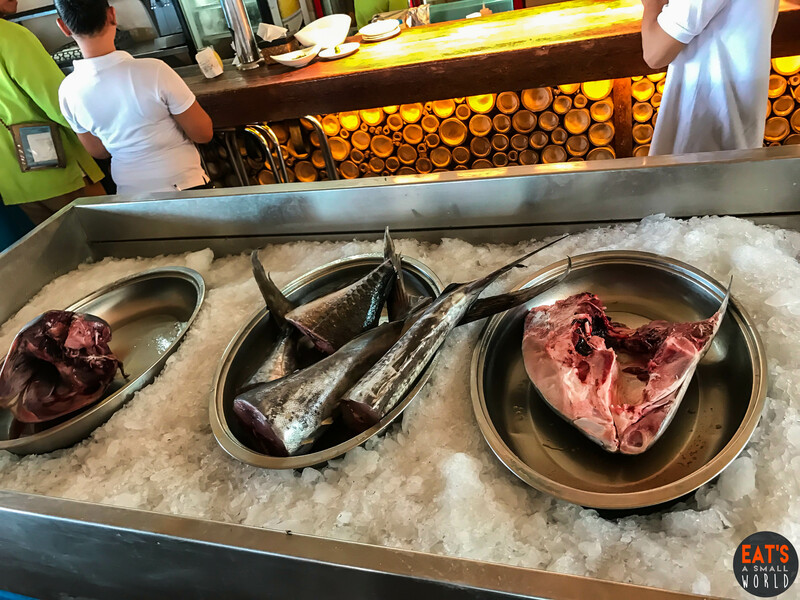 However, more than that, it is the number of restaurants offering various cuisines and the fresh seafood that made us excited. 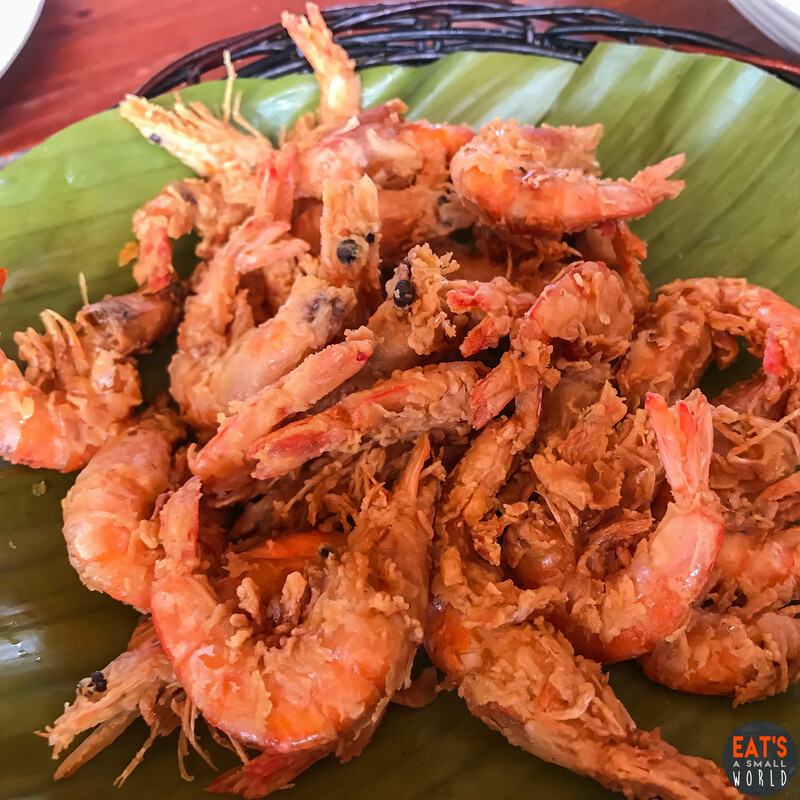 We all know that seafood is bountiful in the Visayan region and the restaurants there have mastered the art of cooking them. 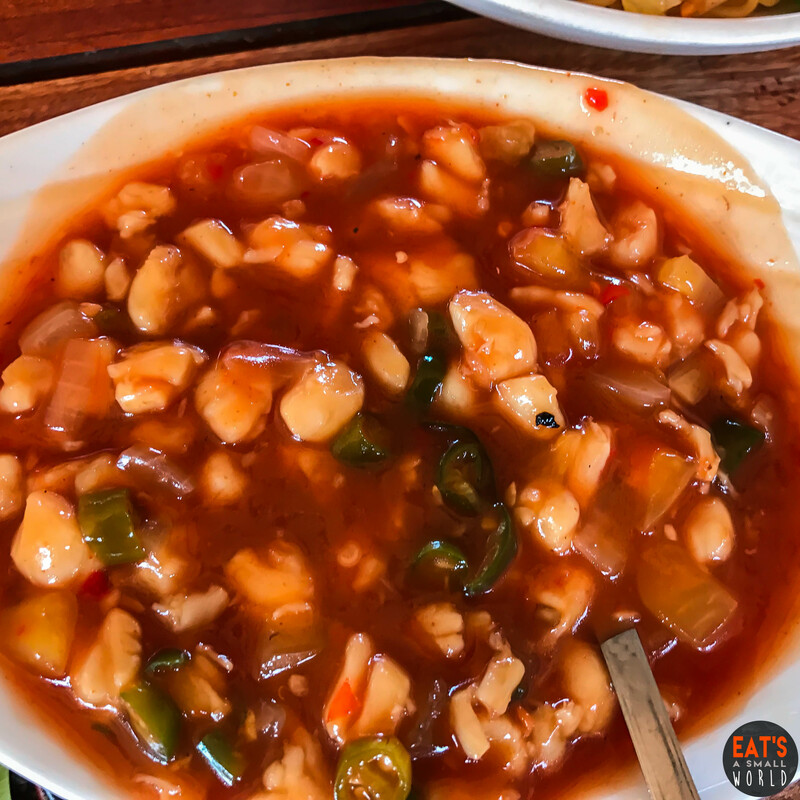 We were not disappointed when we explored the culinary treasures there. 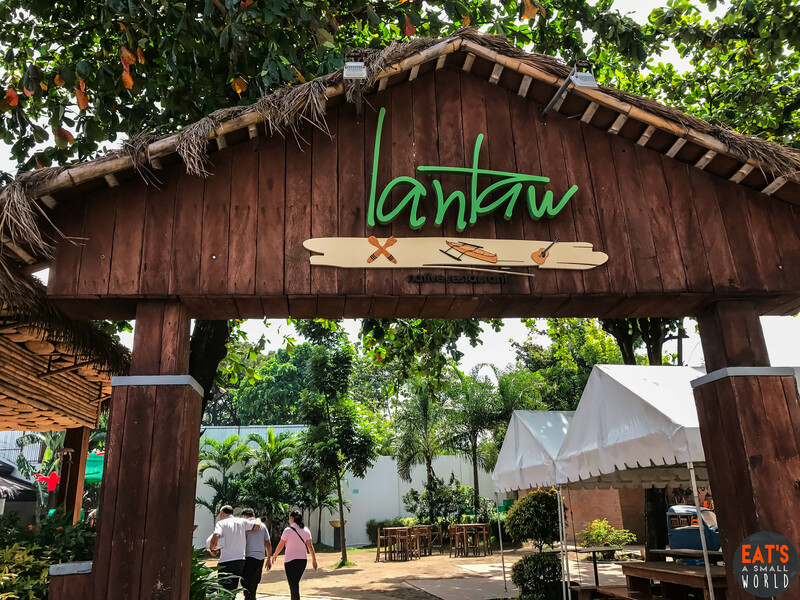 There are many restos to be cited but one caught our attention – Lantaw Native Restaurant. It is located along E.J. 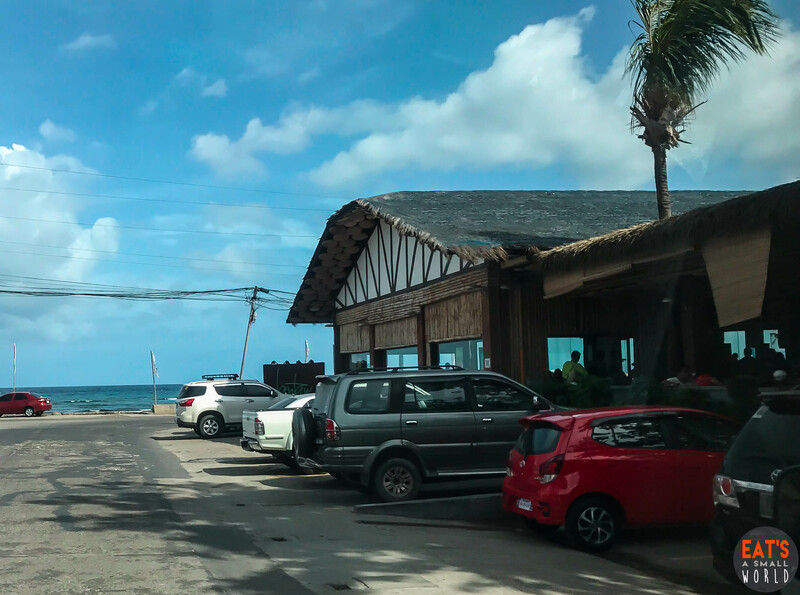 Blanco Drive, a seaside road peppered with restaurants, bars, hotels, etc. 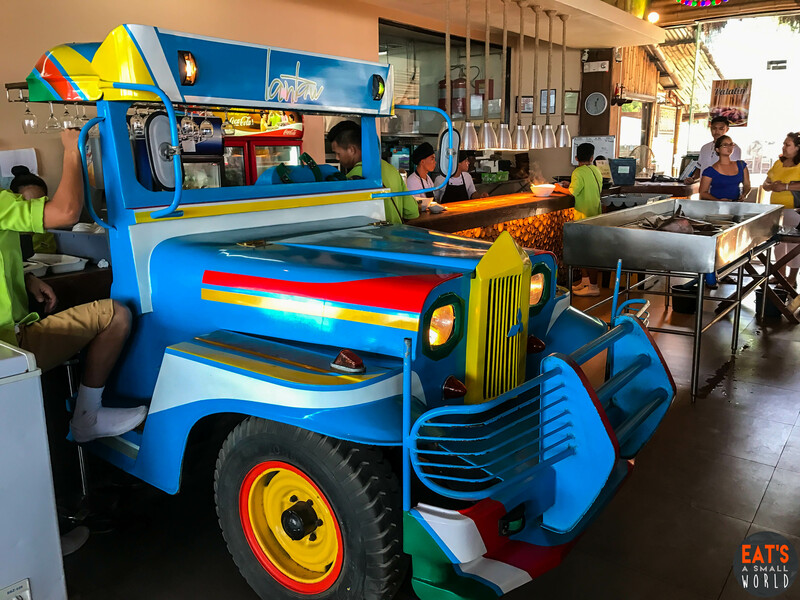 It is hard to miss Lantaw because there are several cars parked in front of it – always! Besides, “lantaw” in Cebuano means “it can be seen from a distance”….and it truly is. 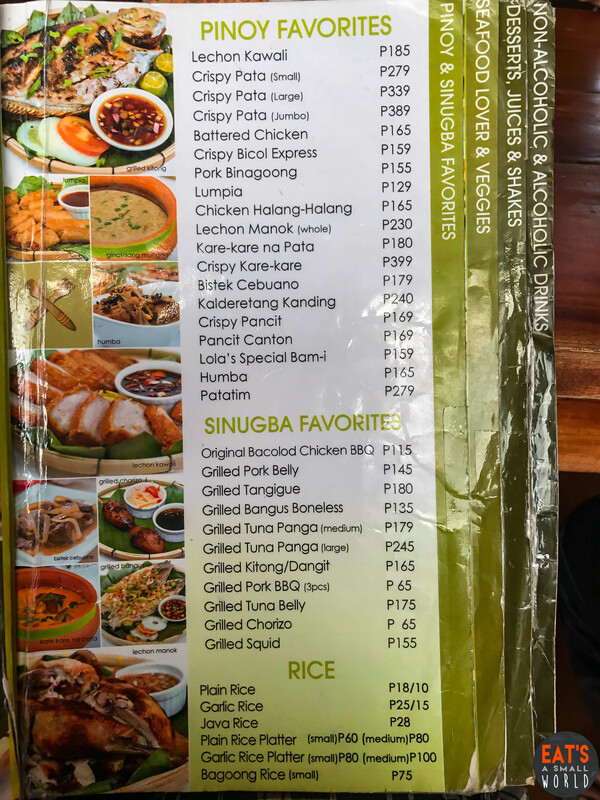 Because it is a Filipino restaurant, it naturally follows that its architecture and interior design is also Filipino. 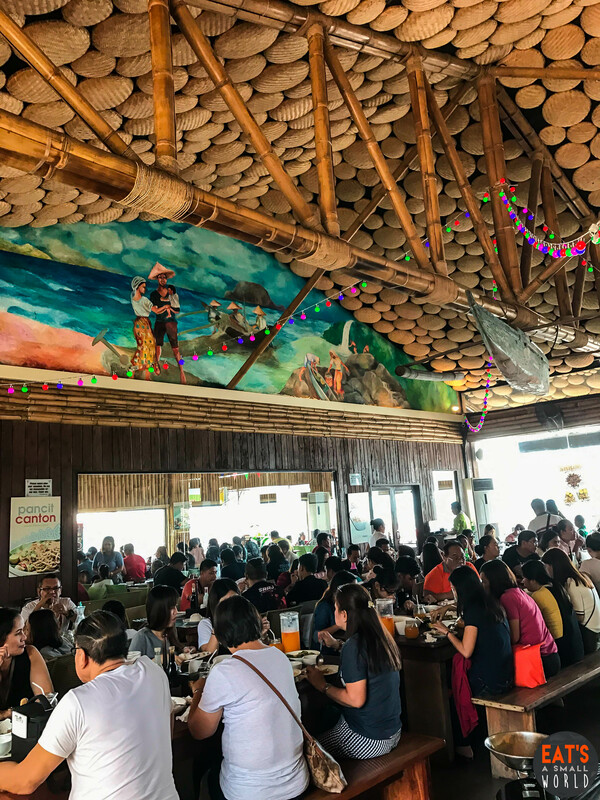 There are lot’s of bamboo stems and poles, bilao (native tray made of bamboo) and dried palm leaves (“nipa”) found all over the sprawling space. This area pictured above is the air conditioned section of the resto. The mood is undeniably festive! The Bed of Ice has prime cuts of tuna on it. 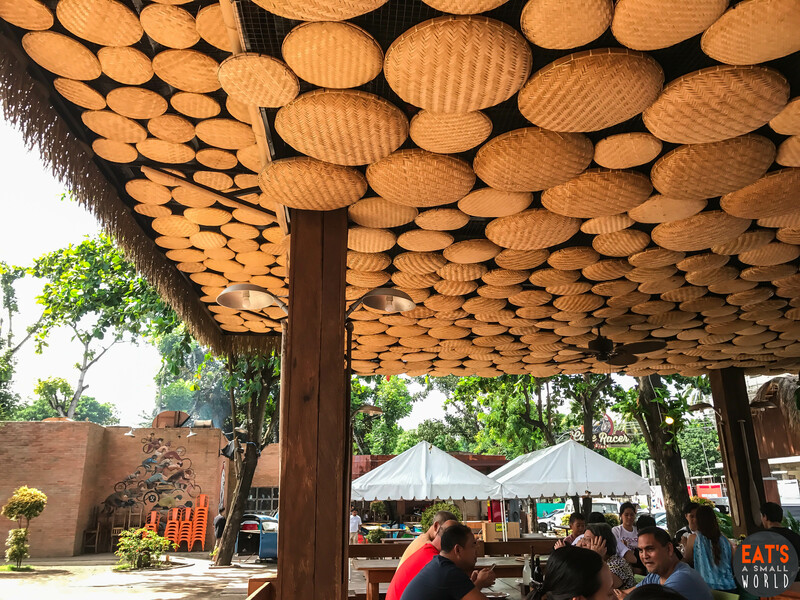 The entire ceiling of this area is covered with various sizes of bilao. 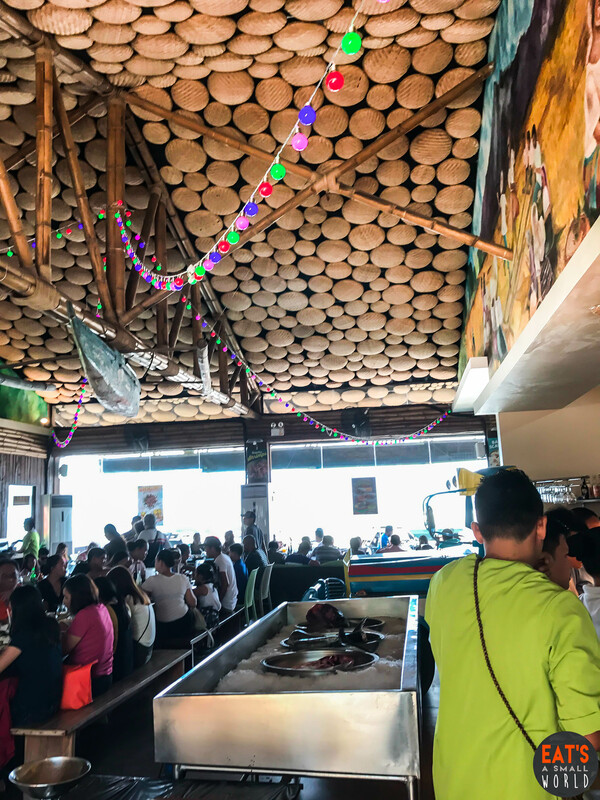 The place is almost always….full! 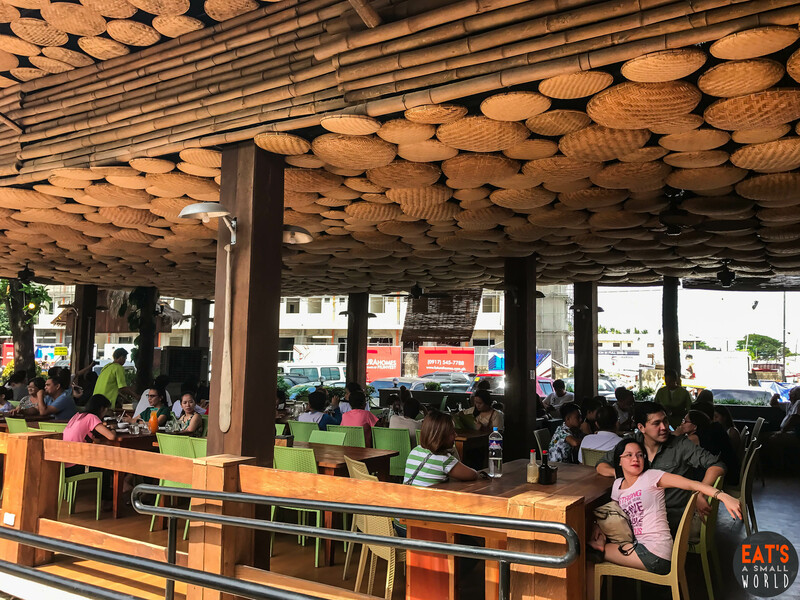 If you will look at the posts, you will find an interesting piece – the locally made aluminum frying pan ( “kawali”) has been converted into a light fixture. 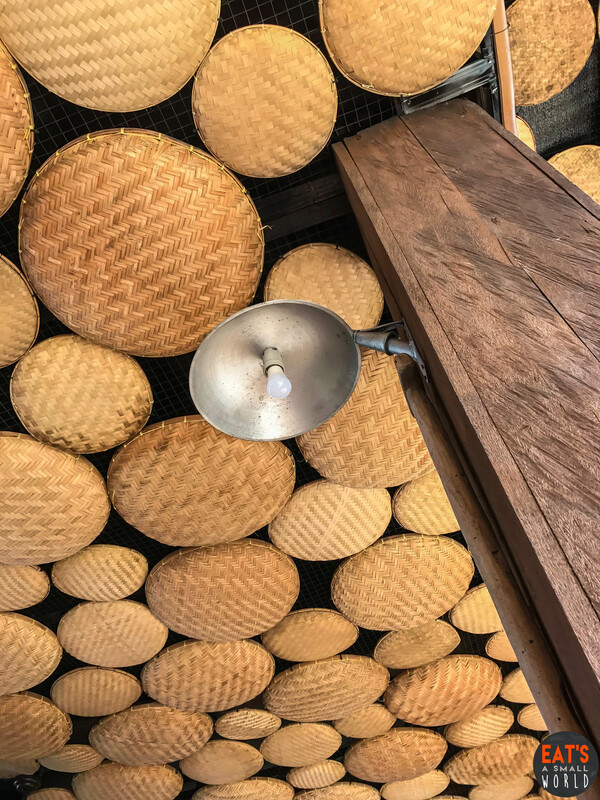 Here is a closer look at the “kawali light”. Now, let’s talk about the food which attracts locals and tourists like bees to honey. 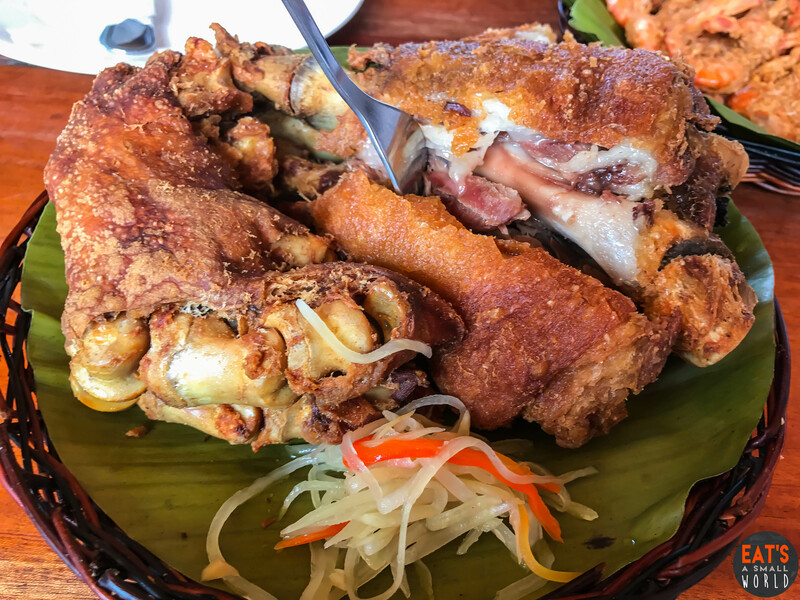 We have probably tasted some of the best Crispy Patas throughout the country and Lantaw’s version is also very good. Crispy skin outside and tender pork meat inside. Fried with garlic butter and sprinkled with pepper and cayenne. It’s crispy and delicious. You can actually eat the whole thing! 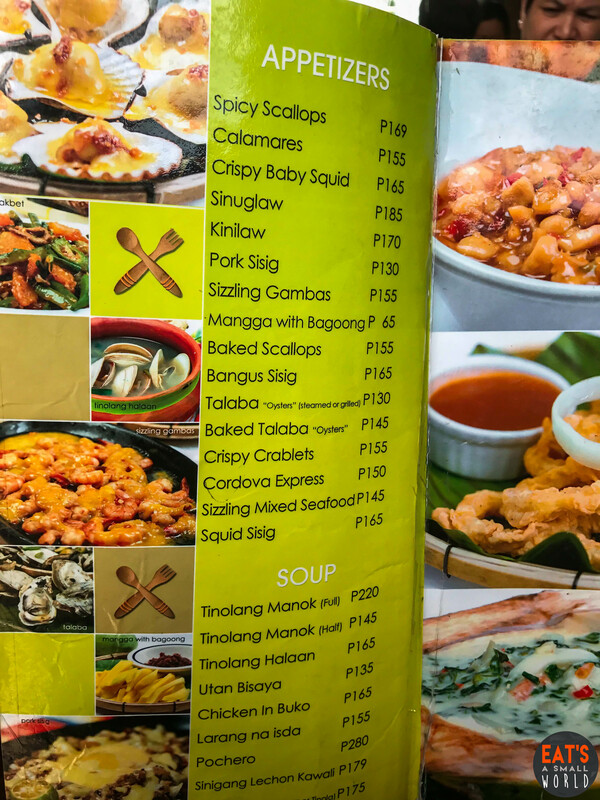 As mentioned earlier, the restos here have mastered cooking seafood. I guess the overall ambiance has a lot to do in making the food more delicious. “Baby” scallops in tomato sauce and chili on it. Hmmm…it is like eating slightly spiced “pork and beans” but none of the pork and beans…only scallops. This one is also a winner! 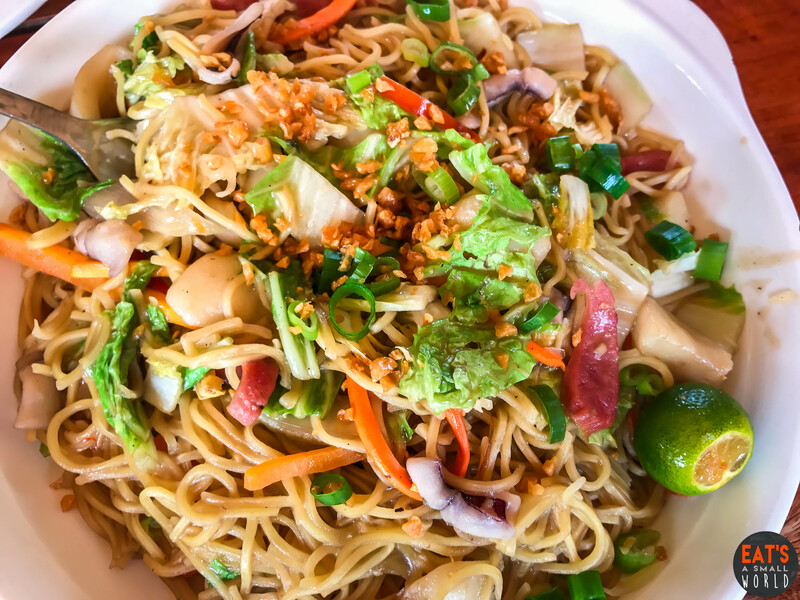 The noodles are not crispy, but it’s the sprinkle of deep fried pork bits that gives texture to this all-time Pinoy favorite. 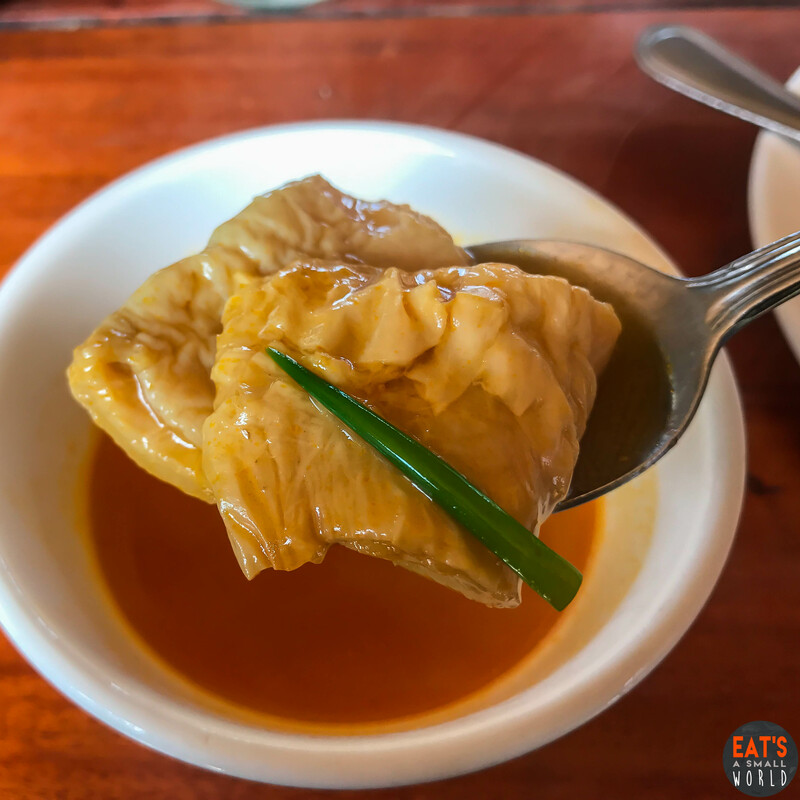 This is a very interesting dish because, it resembles “kare-kare” – the color of the soup is unmistakably “kare-kare” plus the presence of ox tail and tripe. However, it is NOT “kare-kare”. 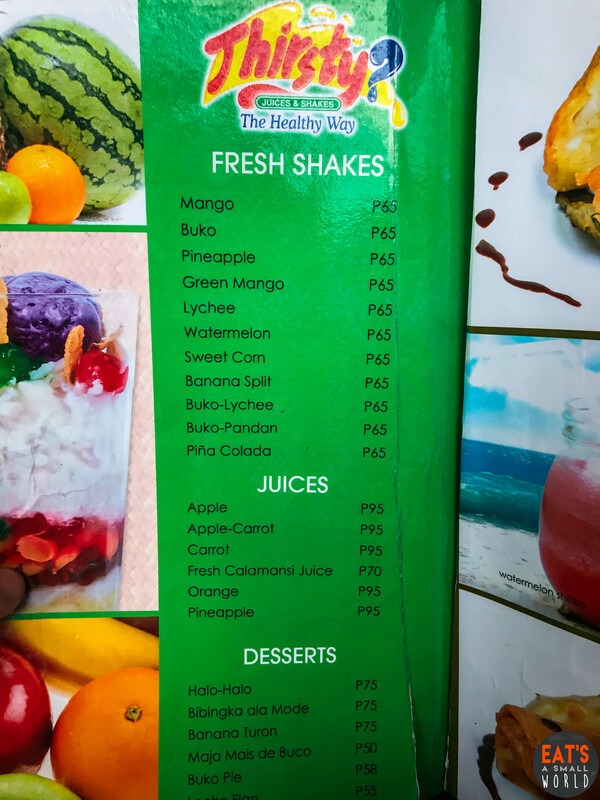 It tastes more like sinigang. It’s a Visayan original and unlike “kare-kare”, this one has ginger, star anise and black beans. To give you an idea on how much your meal will be, here is the actual menu (January 2018) for your perusal. 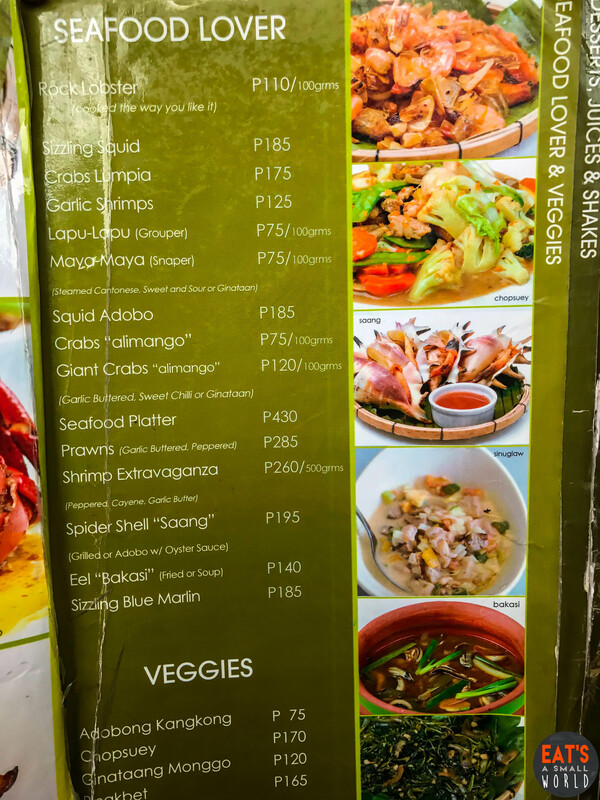 Haven’t you wondered why, more often than not, there is this notion that food in the provinces are more flavorful than those in the city? Given that both use authentic ingredients, our theory is that ambiance has a something to do with it. 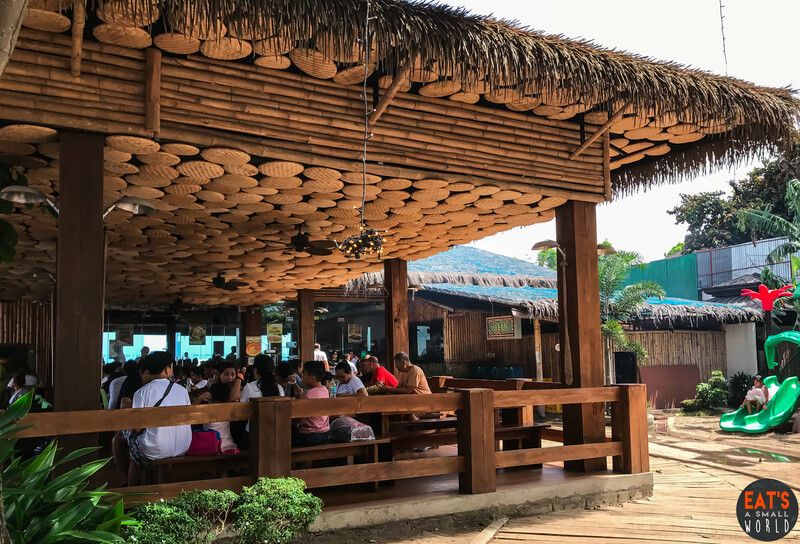 Over at Lantaw Native Restaurant, you get both delicious food and good ambiance to make your culinary journey a memorable one. How about the service? Well…if you are a follower of Eat’s a Small World, you will know that we are very considerate people. We know that service in “blockbuster” restaurants like Lantaw sometimes suffers due to the number of diners. At Lantaw, there was a bit of a delay in the serving of our order BUT, all things considered, the service was not bad. The servers were actually very friendly and AMAZINGLY agile in negotiating the turns from table to table while carrying the large trays filled with dishes and food. They are experts! 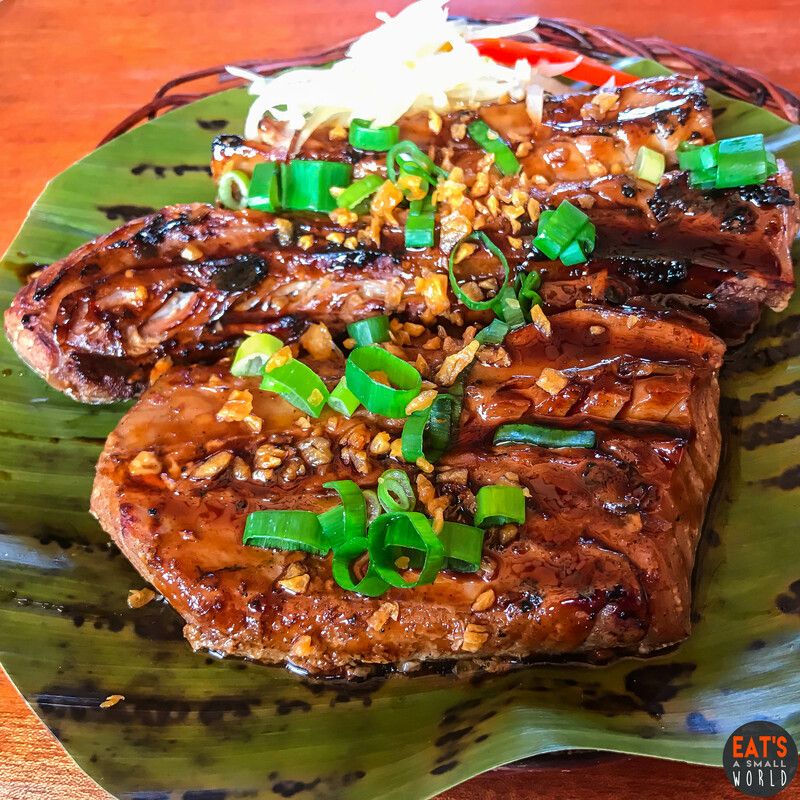 Yes, yes, yes….if and when you get to visit Dumaguete City, you MUST dine at Lantaw Native Restaurant.